Marketing is an ever-changing, fast-paced, and creative career. Learning is not a spectator sport. 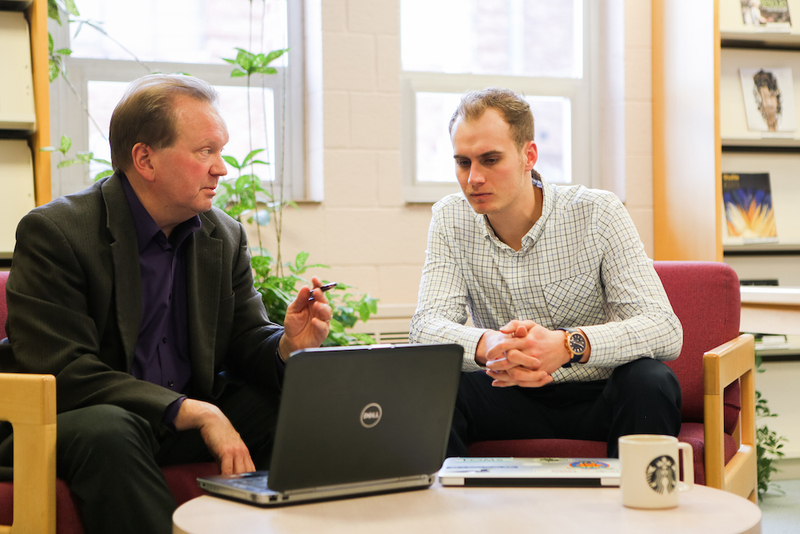 Marketing courses at Finlandia are designed and taught using active learning techniques. 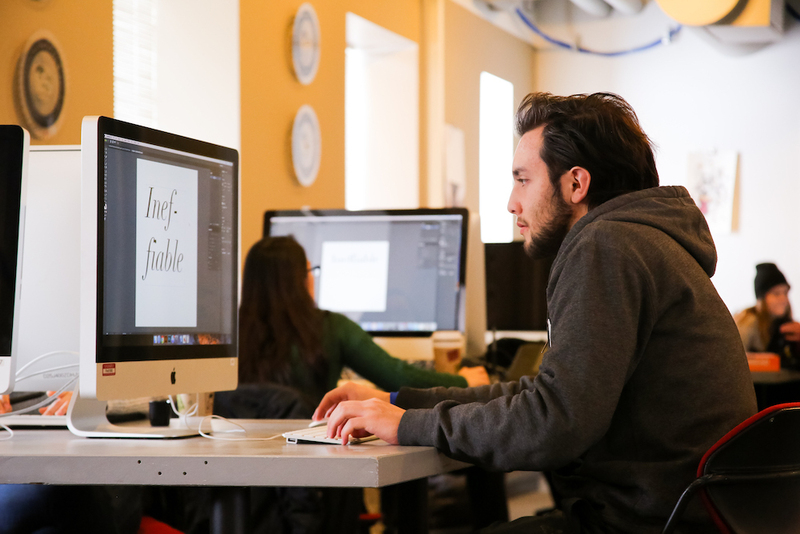 Unlike traditional university level courses, our marketing courses are delivered with hands-on learning using creative and well-designed methods. This experiential hands-on approach to learning provides students with more marketing skill sets than traditional lecture/test methods used at other universities. 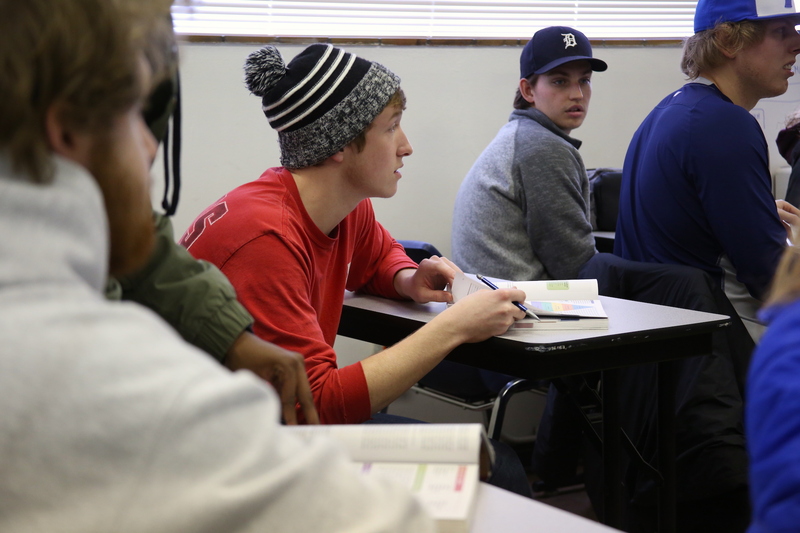 Real-world experience in the classroom translates to a better understanding of the content. We strive to make classroom activities as real as possible, this includes taking courses that touch on the fundamental principles of marketing. In the Digital Marketing Course (BUS 340) students develop an e-commerce website and digital communications. 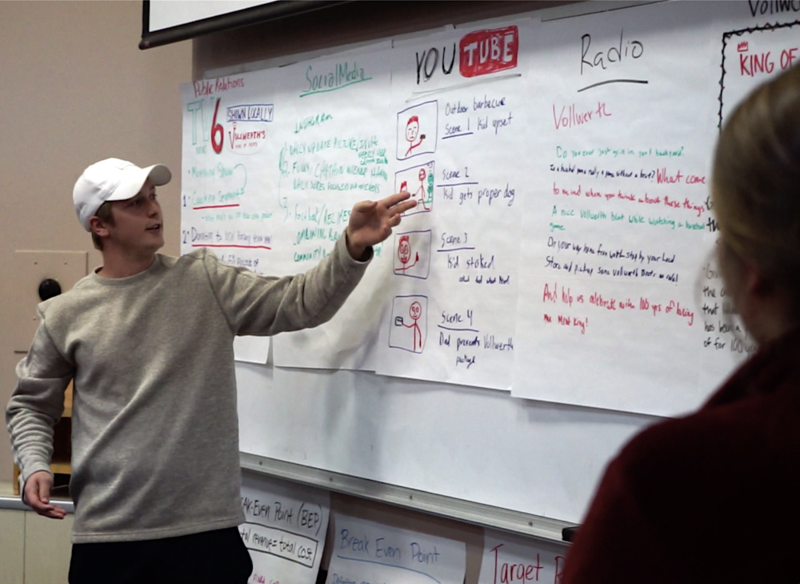 Students also create television, radio, print and social media advertisements for a local business in the integrated marketing and communications course (BUS 346) and produce a marketing strategy for a new inventive product in the marketing principles course (BUS 245). Marketing is a profession that thrives on detail, creativity and human interaction. By design, our small classrooms allow students to interact with professors to ask the necessary questions to grasp the concepts of marketing. During the 2017-18 school year our average class size was less than 11 students per class. It gets even more personal as students enter their junior and senior year, with senior seminars averaging about four students per class. Courses are taught by working professionals who hold advanced degrees in marketing. 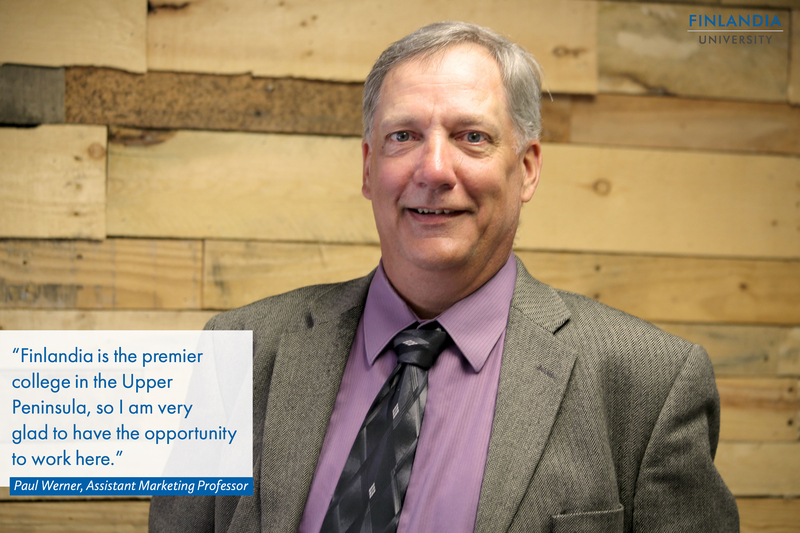 The professors have both academic credentials as well as robust, professional marketing experience that allow them to share advanced knowledge of the field. 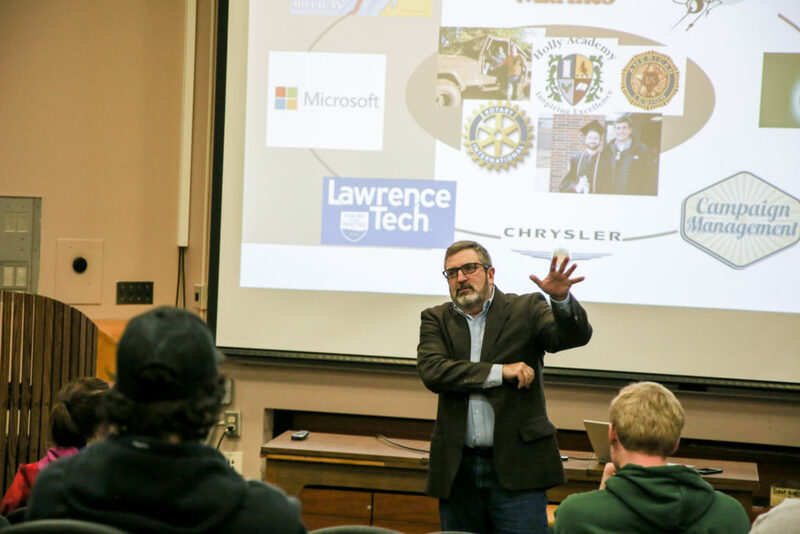 Students will also learn from guest lecturers who bring unique perspectives to the classroom. In addition to learning from these lectures, students have the chance to network with professionals who work directly the industry. All of which provides students with an unparalleled learning experience. Marketing is an ideal choice for students who like to interact with people, are intrigued by human behavior, and like being rewarded for what they do. For especially creative individuals, courses in Finlandia’s International School of Art and Design provide backgrounds in digital imagery, publications and graphic design, which complement the core curriculum taught and help acquire a more robust understanding of marketing. Jim Lavallee works for Microsoft as Director of Delivery Management from his home here in the Keweenaw. 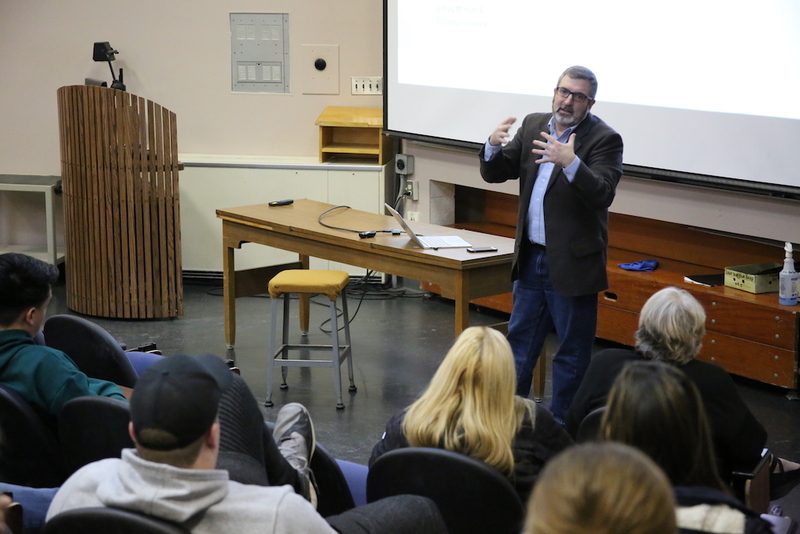 Lavallee recently spoke to Finlandia business students about remote working. He also spoke about the importance of understanding change management, as a large portion of what managers do is essentially implementing change in their organization. Read more here. Finlandia’s alumni podcast Leading the Pride is back this month with Adam Huey (’07). 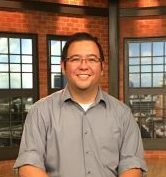 Huey, who is originally from Folsom, Calif. and earned a bachelor’s degree in marketing, now serves as a Senior Commercial Project Manager for Siemens. Read more and listen to the podcast here. “Finlandia is the premier college in the Upper Peninsula, so I am very glad to have the opportunity to work here,” said Werner. “The students are more focused and have the desire to work to their highest level.” Read more about Paul here.